Match ends, FC Porto 1, Galatasaray 0. 90+4' Second Half ends, FC Porto 1, Galatasaray 0. 90+2' Offside, Galatasaray. Selcuk Inan tries a through ball, but Henry Onyekuru is caught offside. 90+1' Offside, FC Porto. Óliver Torres tries a through ball, but Moussa Marega is caught offside. 90+1' Maicon (Galatasaray) is shown the yellow card for a bad foul. 90+1' André Pereira (FC Porto) wins a free kick in the attacking half. 90+1' Foul by Maicon (Galatasaray). 90' Attempt missed. André Pereira (FC Porto) left footed shot from the centre of the box misses to the right. Assisted by Yacine Brahimi. 89' Substitution, FC Porto. Sérgio Oliveira replaces Héctor Herrera. 86' Foul by André Pereira (FC Porto). 86' Maicon (Galatasaray) wins a free kick in the defensive half. 86' Substitution, Galatasaray. Yunus Akgün replaces Fernando. 85' Attempt missed. Héctor Herrera (FC Porto) right footed shot from outside the box is too high following a corner. 84' Corner, FC Porto. Conceded by Maicon. 84' Attempt blocked. Yacine Brahimi (FC Porto) right footed shot from the left side of the box is blocked. Assisted by Óliver Torres with a cross. 84' Attempt saved. Moussa Marega (FC Porto) right footed shot from the centre of the box is saved in the bottom right corner. Assisted by André Pereira with a through ball. 83' Corner, Galatasaray. Conceded by Alex Telles. 82' Foul by André Pereira (FC Porto). 82' Martin Linnes (Galatasaray) wins a free kick in the defensive half. 80' Foul by Maxi Pereira (FC Porto). 80' Rodrigues (Galatasaray) wins a free kick in the attacking half. 80' Substitution, FC Porto. André Pereira replaces Otávio. 79' Attempt missed. Sinan Gümüs (Galatasaray) header from the centre of the box is close, but misses to the right. Assisted by Sofiane Feghouli with a cross following a set piece situation. 79' Foul by Héctor Herrera (FC Porto). 79' Yuto Nagatomo (Galatasaray) wins a free kick in the attacking half. 77' Moussa Marega (FC Porto) wins a free kick in the attacking half. 77' Foul by Serdar Aziz (Galatasaray). 76' Attempt missed. Rodrigues (Galatasaray) right footed shot from the centre of the box is high and wide to the right. Assisted by Sinan Gümüs. 75' Moussa Marega (FC Porto) wins a free kick in the defensive half. 75' Foul by Maicon (Galatasaray). 74' Substitution, Galatasaray. Sofiane Feghouli replaces Younès Belhanda. 73' Corner, FC Porto. Conceded by Serdar Aziz. 73' Attempt blocked. Otávio (FC Porto) right footed shot from the right side of the box is blocked. Assisted by Óliver Torres. 72' Foul by Danilo Pereira (FC Porto). 72' Younès Belhanda (Galatasaray) wins a free kick in the defensive half. 72' Foul by Héctor Herrera (FC Porto). 72' Selcuk Inan (Galatasaray) wins a free kick in the defensive half. 72' Foul by Moussa Marega (FC Porto). 72' Maicon (Galatasaray) wins a free kick in the defensive half. 71' Yacine Brahimi (FC Porto) wins a free kick in the defensive half. 71' Foul by Fernando (Galatasaray). 70' Otávio (FC Porto) wins a free kick on the right wing. 70' Foul by Younès Belhanda (Galatasaray). 69' Substitution, FC Porto. Óliver Torres replaces Jesús Manuel Corona. 68' Substitution, Galatasaray. Selcuk Inan replaces Ryan Donk. 68' Offside, FC Porto. Yacine Brahimi tries a through ball, but Moussa Marega is caught offside. 67' Moussa Marega (FC Porto) wins a free kick on the left wing. 67' Foul by Maicon (Galatasaray). 66' Attempt saved. Jesús Manuel Corona (FC Porto) left footed shot from the centre of the box is saved in the top centre of the goal. Assisted by Yacine Brahimi. 63' Foul by Moussa Marega (FC Porto). 63' Maicon (Galatasaray) wins a free kick in the defensive half. 62' Attempt missed. Héctor Herrera (FC Porto) header from the centre of the box misses to the left. Assisted by Jesús Manuel Corona with a cross. 61' Alex Telles (FC Porto) wins a free kick in the defensive half. 61' Foul by Fernando (Galatasaray). 60' Danilo Pereira (FC Porto) is shown the yellow card for a bad foul. 60' Foul by Danilo Pereira (FC Porto). 60' Henry Onyekuru (Galatasaray) wins a free kick on the right wing. 59' Attempt missed. Fernando (Galatasaray) left footed shot from the centre of the box is too high. Assisted by Serdar Aziz with a headed pass following a set piece situation. 58' Otávio (FC Porto) is shown the yellow card for a bad foul. 58' Foul by Otávio (FC Porto). 58' Fernando (Galatasaray) wins a free kick on the right wing. 57' Foul by Otávio (FC Porto). 57' Fernando (Galatasaray) wins a free kick in the defensive half. 56' Héctor Herrera (FC Porto) wins a free kick in the attacking half. 56' Foul by Sinan Gümüs (Galatasaray). 56' Yacine Brahimi (FC Porto) wins a free kick on the left wing. 56' Foul by Martin Linnes (Galatasaray). 55' Attempt missed. Alex Telles (FC Porto) left footed shot from outside the box is close, but misses the top left corner from a direct free kick. 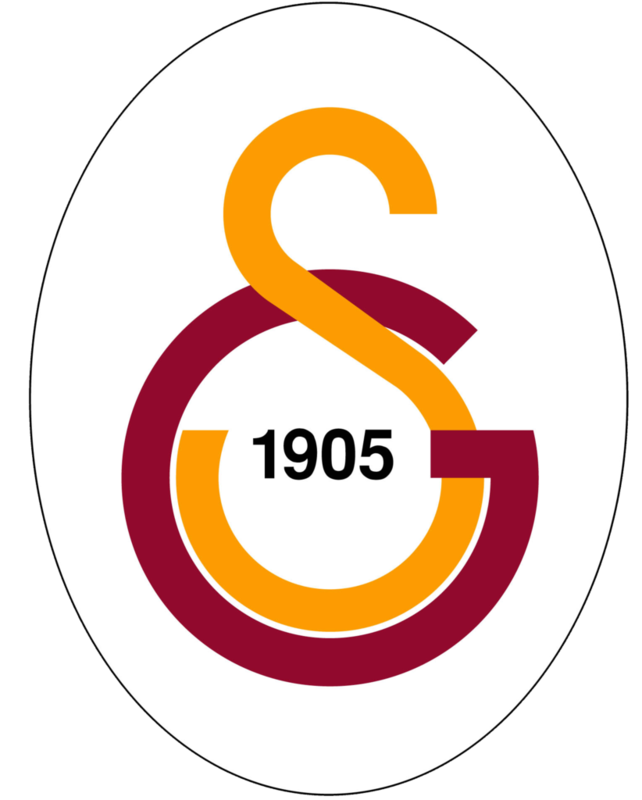 54' Martin Linnes (Galatasaray) is shown the yellow card for a bad foul. 54' Otávio (FC Porto) wins a free kick in the attacking half. 54' Foul by Martin Linnes (Galatasaray). 52' Offside, FC Porto. Otávio tries a through ball, but Moussa Marega is caught offside. 51' Offside, Galatasaray. Fernando tries a through ball, but Sinan Gümüs is caught offside. 51' Offside, Galatasaray. Maicon tries a through ball, but Henry Onyekuru is caught offside. 49' Goal! 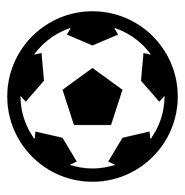 FC Porto 1, Galatasaray 0. Moussa Marega (FC Porto) header from the centre of the box to the bottom right corner. Assisted by Alex Telles with a cross following a corner. 48' Corner, FC Porto. Conceded by Maicon. Second Half begins FC Porto 0, Galatasaray 0. 45+2' First Half ends, FC Porto 0, Galatasaray 0. 45' Danilo Pereira (FC Porto) wins a free kick in the defensive half. 45' Foul by Fernando (Galatasaray). 45' Corner, Galatasaray. Conceded by Iker Casillas. 45' Attempt saved. Sinan Gümüs (Galatasaray) left footed shot from the left side of the box is saved in the centre of the goal. Assisted by Martin Linnes. 44' Serdar Aziz (Galatasaray) is shown the yellow card for a bad foul. 44' Otávio (FC Porto) wins a free kick in the attacking half. 44' Foul by Serdar Aziz (Galatasaray). 42' Eder Militão (FC Porto) is shown the yellow card for a bad foul. 42' Foul by Eder Militão (FC Porto). 42' Sinan Gümüs (Galatasaray) wins a free kick in the defensive half. 42' Attempt blocked. Yacine Brahimi (FC Porto) right footed shot from outside the box is blocked. 41' Otávio (FC Porto) wins a free kick in the attacking half. 41' Foul by Fernando (Galatasaray). 39' Attempt missed. Henry Onyekuru (Galatasaray) left footed shot from the right side of the box is close, but misses to the right. Assisted by Ryan Donk. 38' Attempt saved. Yuto Nagatomo (Galatasaray) left footed shot from the centre of the box is saved in the centre of the goal. Assisted by Rodrigues with a through ball. 37' Attempt missed. Felipe (FC Porto) header from the centre of the box is high and wide to the left. Assisted by Alex Telles with a cross following a corner. 36' Corner, FC Porto. Conceded by Fernando. 33' Foul by Alex Telles (FC Porto). 33' Henry Onyekuru (Galatasaray) wins a free kick on the right wing. 33' Foul by Otávio (FC Porto). 33' Fernando (Galatasaray) wins a free kick in the defensive half. 31' Ryan Donk (Galatasaray) is shown the yellow card for a bad foul. 31' Jesús Manuel Corona (FC Porto) wins a free kick on the right wing. 31' Foul by Ryan Donk (Galatasaray). 30' Dangerous play by Alex Telles (FC Porto). 30' Sinan Gümüs (Galatasaray) wins a free kick on the right wing. 26' Attempt saved. Yacine Brahimi (FC Porto) right footed shot from the centre of the box is saved in the bottom left corner. Assisted by Jesús Manuel Corona. 26' Felipe (FC Porto) wins a free kick on the left wing. 26' Foul by Henry Onyekuru (Galatasaray). 25' Offside, FC Porto. Alex Telles tries a through ball, but Moussa Marega is caught offside. 24' Attempt missed. Maicon (Galatasaray) right footed shot from outside the box is too high from a direct free kick. 23' Foul by Eder Militão (FC Porto). 23' Ryan Donk (Galatasaray) wins a free kick in the attacking half. 23' Foul by Maxi Pereira (FC Porto). 23' Rodrigues (Galatasaray) wins a free kick on the left wing. 22' Foul by Jesús Manuel Corona (FC Porto). 22' Rodrigues (Galatasaray) wins a free kick in the defensive half. 21' Attempt blocked. Otávio (FC Porto) right footed shot from outside the box is blocked. Assisted by Jesús Manuel Corona. 21' Attempt missed. Moussa Marega (FC Porto) header from the centre of the box misses to the right. Assisted by Alex Telles with a cross. 20' Otávio (FC Porto) wins a free kick in the attacking half. 20' Foul by Serdar Aziz (Galatasaray). 19' Offside, Galatasaray. Maicon tries a through ball, but Sinan Gümüs is caught offside. 18' Attempt saved. Héctor Herrera (FC Porto) left footed shot from outside the box is saved in the centre of the goal. 17' Héctor Herrera (FC Porto) wins a free kick in the defensive half. 17' Foul by Serdar Aziz (Galatasaray). 16' Corner, Galatasaray. Conceded by Eder Militão. 16' Attempt blocked. Younès Belhanda (Galatasaray) right footed shot from outside the box is blocked. Assisted by Rodrigues. 13' Corner, Galatasaray. Conceded by Maxi Pereira. 13' Attempt blocked. Sinan Gümüs (Galatasaray) left footed shot from the centre of the box is blocked. Assisted by Henry Onyekuru with a cross. 12' Foul by Yacine Brahimi (FC Porto). 12' Sinan Gümüs (Galatasaray) wins a free kick on the right wing. 10' Otávio (FC Porto) wins a free kick on the right wing. 10' Foul by Serdar Aziz (Galatasaray). 9' Attempt missed. Yacine Brahimi (FC Porto) right footed shot from the right side of the box is high and wide to the right. Assisted by Alex Telles following a corner. 9' Corner, FC Porto. Conceded by Yuto Nagatomo. 6' Attempt missed. Moussa Marega (FC Porto) header from the centre of the box is high and wide to the right. Assisted by Alex Telles with a cross following a corner. 6' Corner, FC Porto. Conceded by Martin Linnes. 3' Attempt missed. Maicon (Galatasaray) header from very close range is high and wide to the left. Assisted by Younès Belhanda with a cross following a corner. 3' Corner, Galatasaray. Conceded by Eder Militão. 2' Attempt saved. Sinan Gümüs (Galatasaray) left footed shot from outside the box is saved in the centre of the goal. Assisted by Younès Belhanda. 1' Otávio (FC Porto) wins a free kick on the left wing. 1' Foul by Fernando (Galatasaray). 1' Danilo Pereira (FC Porto) wins a free kick in the defensive half. 1' Foul by Sinan Gümüs (Galatasaray).